Looking down the list of vendors in the review section I noticed that no product reviews exist for SB Scotia. I first came across their products at the Milton Keynes Model show a couple of years ago. SB Scotia do a range of very neat 1/35 resin accessories. They also produce resin accessories in 54mm WWI, 75mm and 120mm. My first purchase from them was their Crates No. 2 set which was a very neat and useable item. What’s particularly note-worthy is the cost of their items. IMHO their products are very reasonably priced indeed. This set of 6 steel boxes came in at £2.50 and as this is my second set of these the price has remained constant for at least 3 years...well almost. After I had ordered the set and written this review I checked the online prices and these show at £3.00 now, still cheap at the price, but a good example of ‘Murphy’s Law’! They also do replacement wheels for the Tamiya LDRG Chevy and the Bronco Humber Scout Car plus some other vehicles, but I digress. SB Scotia is the brand name for items produced by SB Models. The set comes packed in a smart sturdy cardboard box, showing a picture of the items and includes the product and manufacturers details on the front. Inside the ammunition boxes were packed in a small zip bag. The set contains 6 British Ammunition Steel boxes that can be used as diorama accessories or added to vehicles and tanks. They are cast in a light grey resin and came on 3 sprues of 2 boxes each. The detail on the boxes looks accurate and the casting is sharp and clear. 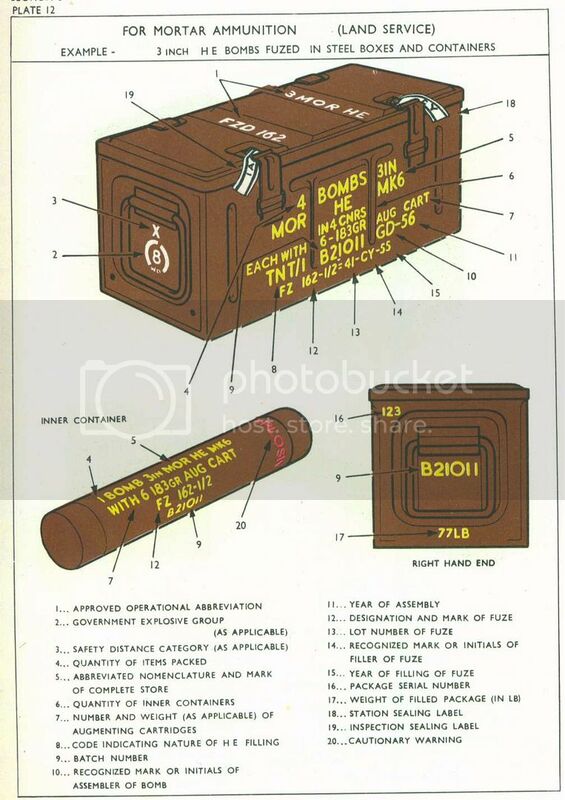 This type of steel box was used by the British for a number of ammunition types the 3 inch mortar bombs for example. You will need a sharp razor saw to remove them from their plugs so normal precautions apply when working with resin. A very useful and cost effective set of steel ammunition boxes to add to your vehicles or diorama settings. Clean up is minimal and these boxes should paint up extremely well and add interest to any vehicle or scene you are building. I have no association with either supplier, but can recommend both for excellent delivery and service. Highs: Sharp detail and at a good price.